About Us — Seven O Ranch Cashion, OK. 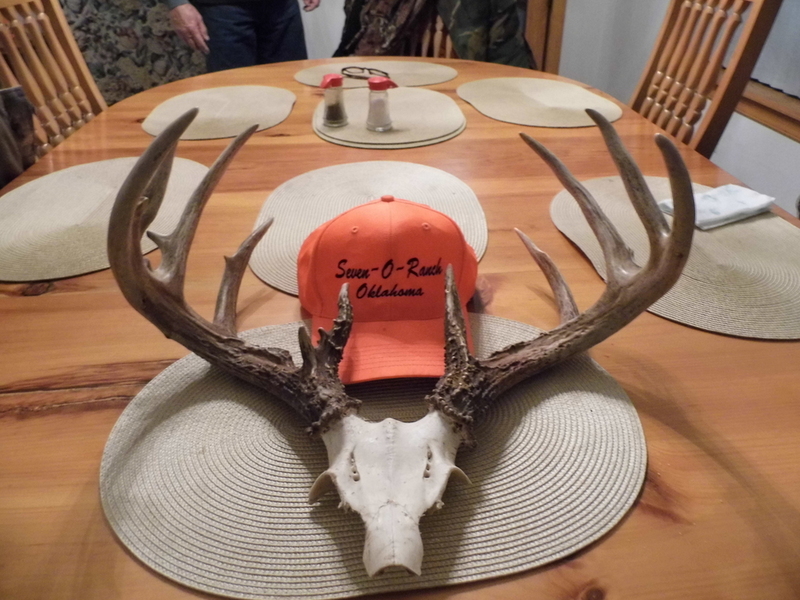 Hunting at the Seven O Ranch has always been a family tradition and our guide service is a family business. When you hunt with us you will be hunting with our family. We only except limited numbers of hunters and we want you to feel like you are part of the family. The ranch has been managed since 1994 to create a hunter's paradise. There is abundant food and cover. Dense wooded areas and plenty of water sources. There are several ponds, open grass fields and the Cimarron river runs through the property. No High Fences. Jose Ojeda hunting quail at the ranch. Jose is the Patriarch. He made the Seven O Ranch possible. He is a self made man who came here from Cuba when he was a child and is living out his dream of owning and operating a game ranch. Norma is the quiet partner who puts up with all her boys and their hunting. She is a wonderful mother and grandmother. 1921 - 2011. Norma's father. Orm was regional director of Latin America for World Neighbors. His experience with wildlife, nature, and conservation helped develop the ranch. His work can be seen all over the ranch. Tables and chairs that he built to birdhouses, hunting blinds, and countless other items. The land itself is shaped by his influence with trees, terraces, ponds, and shelter belts built with his guidance. Alexi is a husband and father. He graduated from Bishop McGuinness High School in Oklahoma City and graduated from Oklahoma City University where he was a four year member of the baseball team. Currently works as Quality Control Inspector at Elliott Roofing in Oklahoma City. Danny graduated from Bishop McGuinnes High school in Oklahoma City. He then graduated from and received his MBA from Oklahoma City University. Currently works as a commercial real estate broker for Newmark Grubb in Oklahoma City. Sonny is a Realtor working for ERA Courtyard Real Estate. He services Oklahoma City and the greater OKC metro area. He is a husband, artist, caring son, brother, and uncle. His hard work has helped develop and maintain the ranch.